The future is bright as we continue to encourage excellence in both academics and performance. We are truly an international school with over 70 nationalities represented. The International Education Systems group (IES) promotes the development of young people who will have the capacity to contribute proactively to the ongoing work towards a better world. Through dynamic programs, IES strives to develop leaders for the future who are collaborative, communicative, enquiring, respectful and creative individuals with a passion for lifelong learning. IES students will be encouraged to integrate effectively in the local, national and international communities through the diverse opportunities afforded to them. 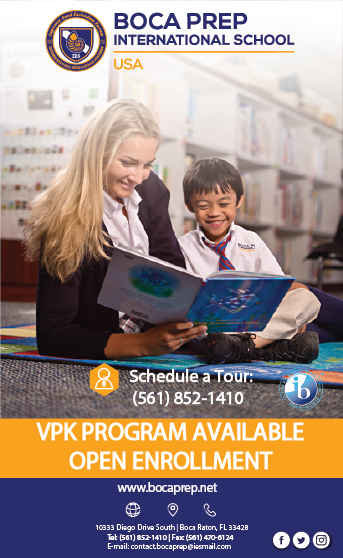 Founded in 1997, Boca Prep has been providing a student-centered, college preparatory, International Baccalaureate education for students in preschool through twelfth grade. With over 50 countries represented in our student body, we are dedicated to offering a well-rounded curriculum that inspires a love of learning, empowering students to be better, and to reach their potential in academic achievement, performance, creativity and citizenship. 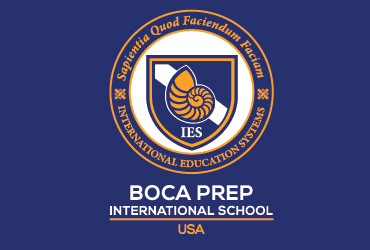 In addition to our rigorous IB academic program, our students may choose to participate in our Boca Prep Performance Program which includes the Soccer Academy, Swim Academy, Theater Academy, Golf Academy or to any local Private Academy. The program was first established with the Evert Tennis Academy, with graduates like Andy Roddick and Mardy Fish, this program allows our students to balance a rigorous academic program with their passion for athletics or the arts. As an International School, our students have the opportunity to visit, study abroad, participate in yearly trips organized in one or more of our sister schools around the world- United Kingdom, South Africa, Hungary, Panama, Slovenia, China and South America. 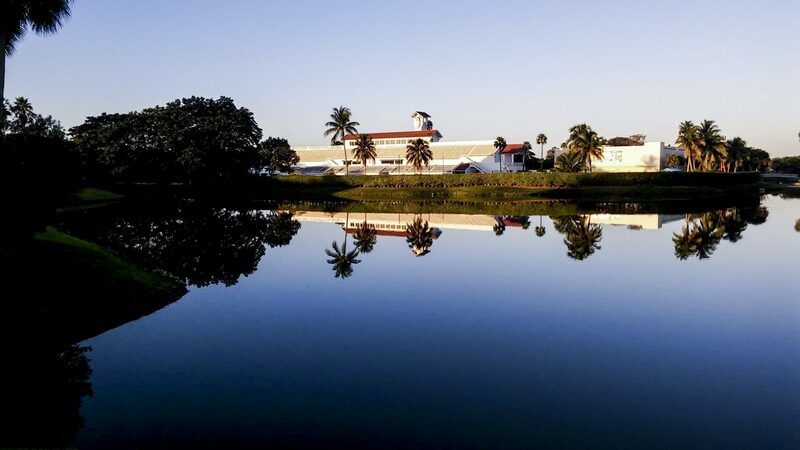 We look forward to your visit at our beautiful campus in the weeks and months ahead. Our caring staff is looking forward to helping you and your child discover more about Boca Prep.